Dans le cadre de la collaboration des plateformes O-ZNS et PRIME du programme PIVOTS, un workshop est organisé le 5 avril 2019 de 10h30 à 12h00 à l’Aquarium du BRGM (3 avenue Claude Guillemin 45100 Orléans). Originally developed for Earth exploration and mineral prospecting, geophysical technologies have seen increased utilizations in shallow subsurface studies to help understand hydrological and biogeochemical processes in the Earth’s critical zone. Example processes include moisture dynamics, elemental cycling, contaminant migration, mineral weathering as well as rhizosphere processes. Developed for field scale applications, geophysical tools are superior for visualizing large scale structures of the subsurface. However, because geophysical signals are often indirect, their interpretation can be ambiguous and non-unique in terms of the underlying hydrological and biogeochemical drivers. How to establish robust links between microscopic mechanistic processes with macroscopic geophysical variables to better understand key hydro-biogeochemical processes in the critical zone is an ongoing key challenge. In this presentation, we will discuss our research to understand how geophysical signals can be used to better understand key processes in the vadose zone. Examples of reactive processes in the soil and hydrological/rhizosphere dynamics at both lab and field scales will be discussed. We will also focus on novel applications of geophysical methods for root quantification, and how geophysical methods can be used jointly with other measurement techniques at mesoscales to better understand the hydro-biogeochemical dynamics of the complex soil system. 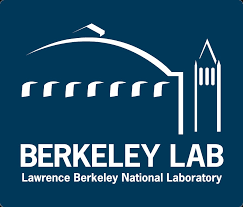 Dr. Yuxin Wu is a Staff Scientist at the Lawrence Berkeley National Laboratory. He is trained in applied geophysics and is an expert in joint application of geophysical, hydrological and biogeochemical methods for multi-disciplinary research. His research focuses on the application of geophysical methods in energy and environment related topics. His research interests include geophysical monitoring of subsurface hydro-biogeochemical processes; characterization and monitoring of fracture flow related to energy production and waste storage; enhanced geophysical imaging approaches; and the development of novel imaging approaches for plant root and root-soil interactions. He leads the new initiative on ecosystem sensing and mesoscale research efforts at Berkeley lab, and is the lead PI on multiple DOE funded projects in both energy and environmental fields. 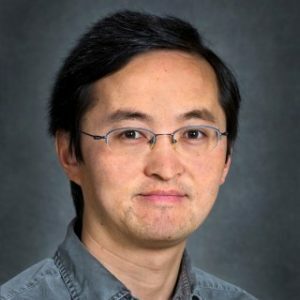 Dr. Wu is a member of AGU and SEG, and has published 40 peer-reviewed papers and book chapters in his fields. Vous êtes intéressé par notre programme ? Si vous souhaitez vous informer, collaborer ou visiter une plateforme n’hésitez pas à contacter l’équipe PIVOTS. Vous pouvez à tout moment vous y désinscrire via le lien en fin de la newsletter. Notre politique de protection des données est consultable ici.